I always like to think of milestones for you guys. 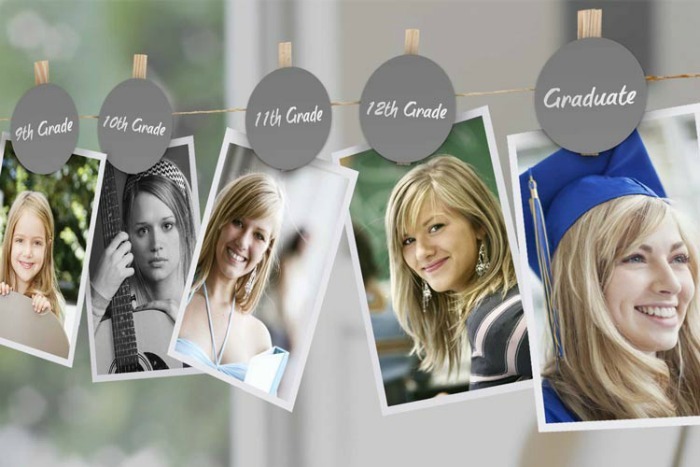 Events that happen in everyone’s life from Birth (newborns), to Moving (new homes) to things like graduation. 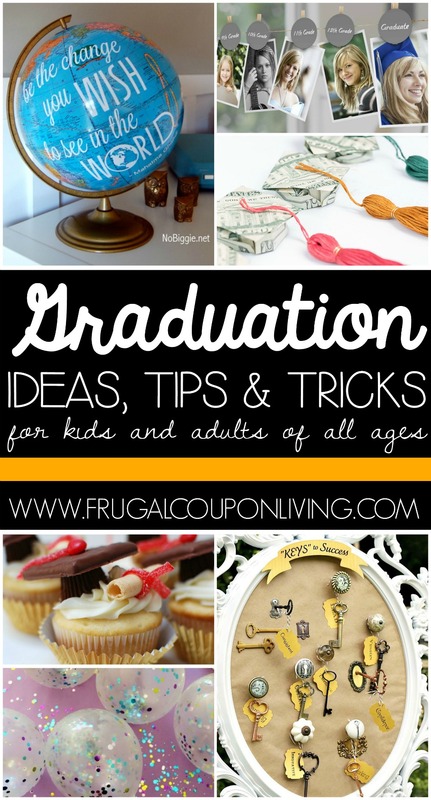 I compiled a list of Ideas, Tips and Tricks for your graduate – Kindergarten to Collegiate – there should be something for everyone! 1.) 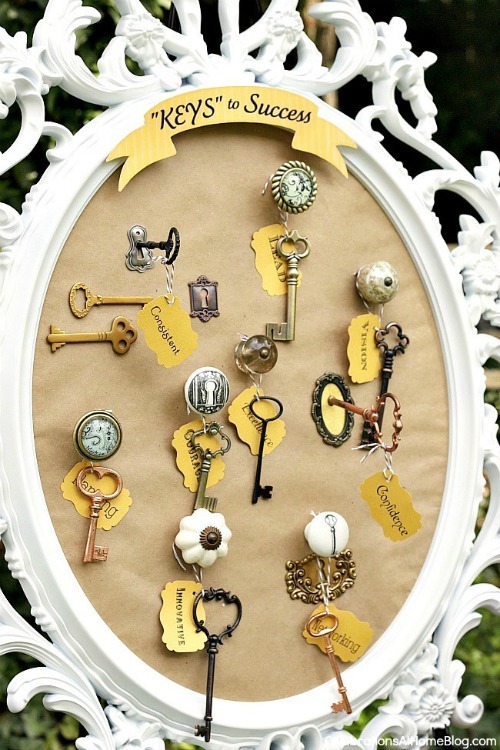 The Keys to Success is fun way for guests to share ideas and advice as you head along your way. Idea on Celebrations at Home Blog. 2.) 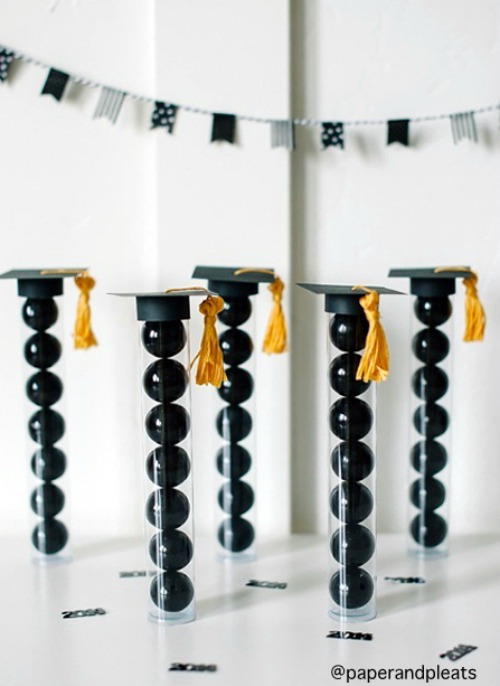 Check out this cool craft, Graduation Cap Straw Toppers from The Glitter in my Tea. 3.) 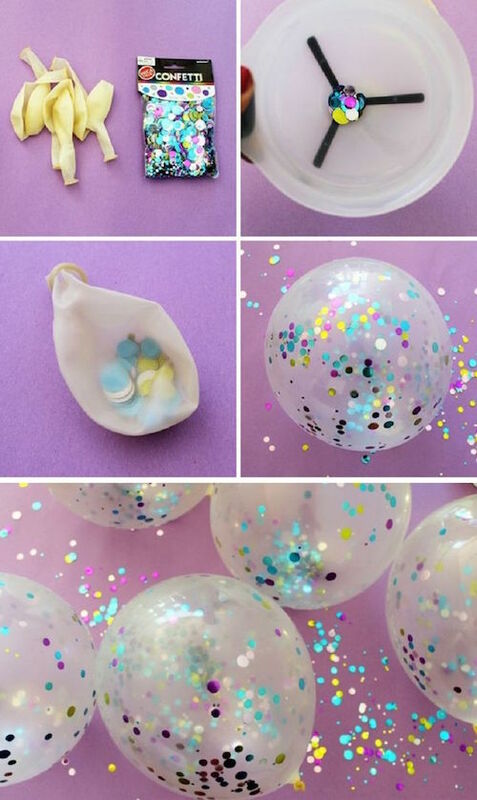 Smart School House has a fun Confetti Balloons Tutorial. 4.) 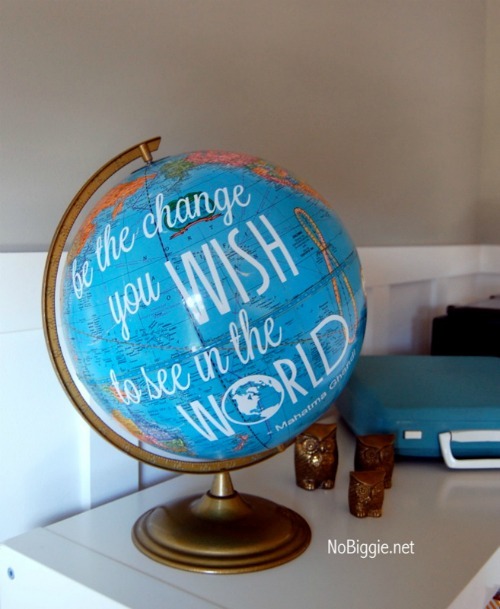 Have a Globe Guests Can Sign and offer words of encouragement. No Biggie has a FREE Silhouette Print with this one. 5.) 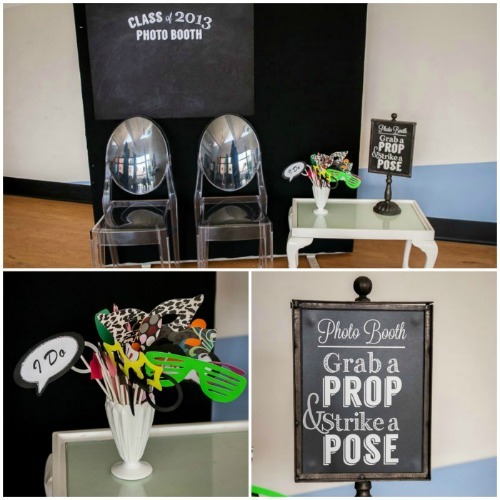 Host a Homemade Graduation Photo Booth like Little Big Co. Some fun ideas HERE. 6.) 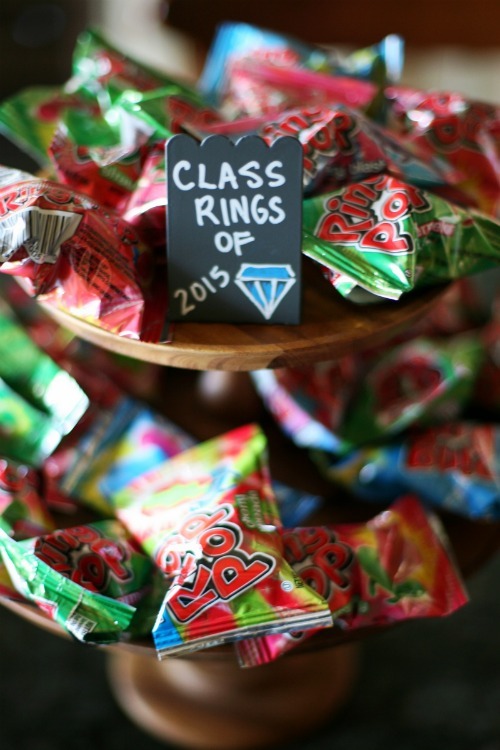 Pass out Class Rings aka Ring Pops like My Life at Playtime. 7.) 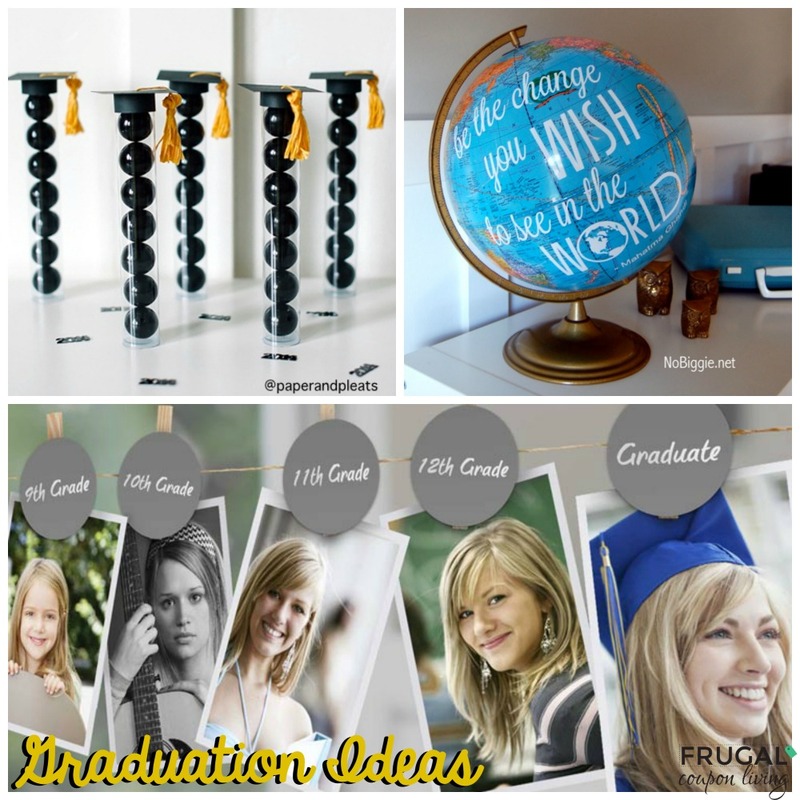 Make Graduation Garland with a strand of photos taken each year. We love this idea from Kodak. 8.) 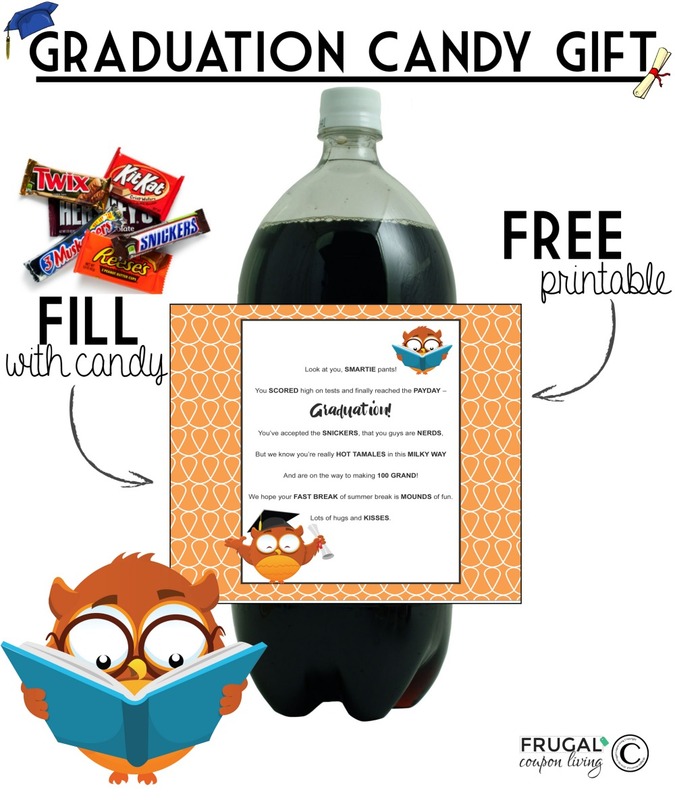 Eighteen25 has an adorable Your Hard Work Paid Off Printable which makes a great grad gift idea! 9.) 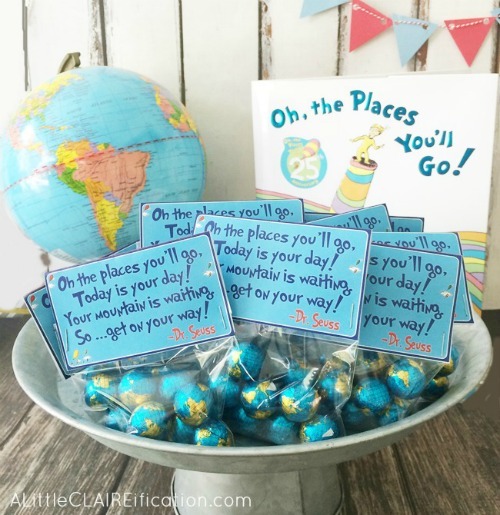 FREE Oh the Places You Will Go Bag Topper from A Little Clairification. Get little Chocolate Globes Here. 10.) 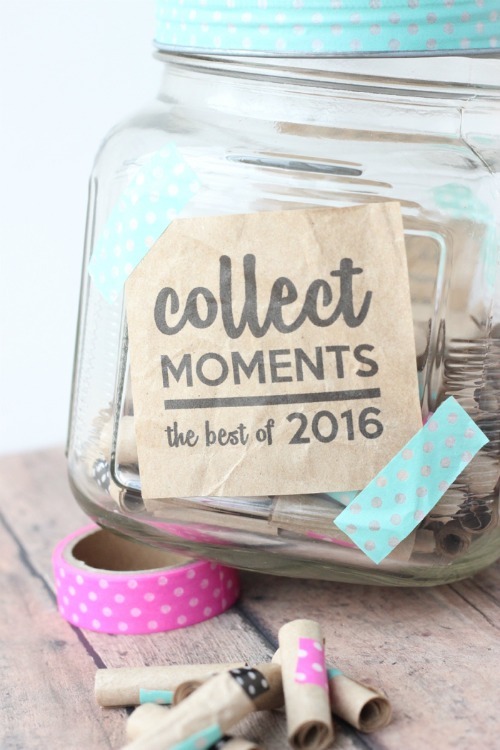 A Graduation Memory Jar for your Guests to share their favorite moments of your year is fun. 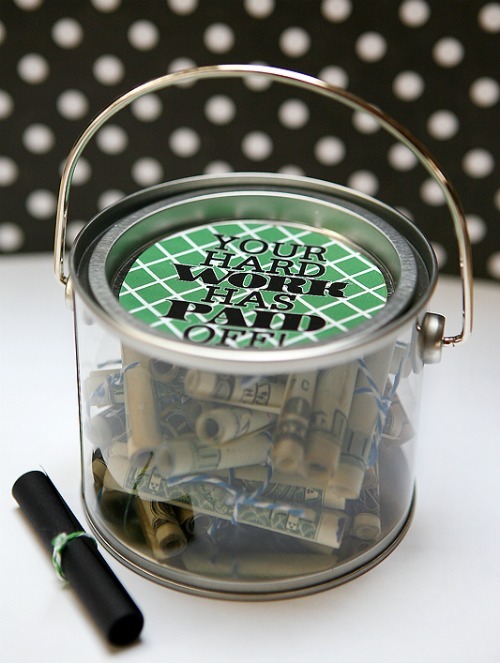 We love this idea on Andrea’s Notebook. 11.) 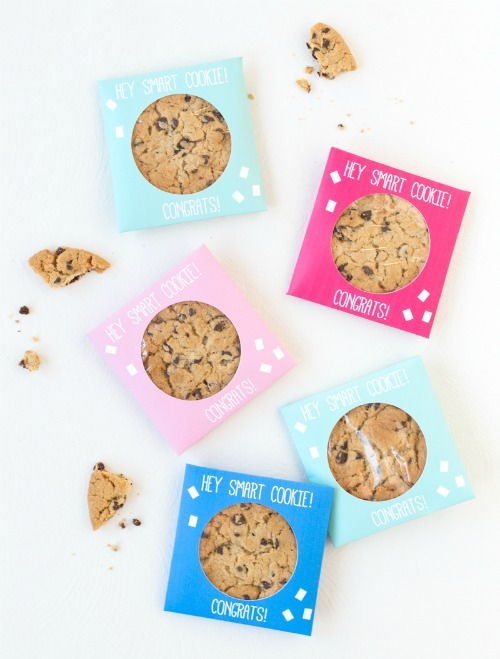 We love these FREE Printable Smart Cookie Sleeves for your party favors from Studio DIY. 12.) How cool is this? 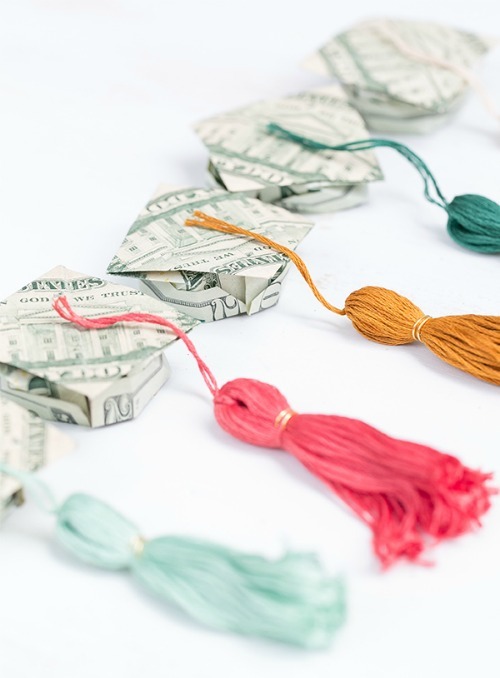 Sugar and Charm turned money into Origami Graduation Hats with Tassels. 13.) 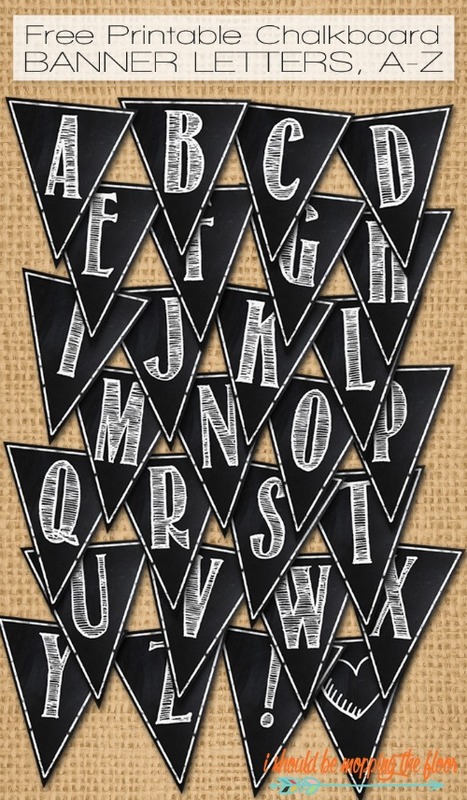 Save what you want with these FREE Printable Chalkboard Banners on I Should be Mopping the Floor. 14.) It’s much easier than you think, see How to Make a Tassel with this tutorial from Style Inked. 15.) 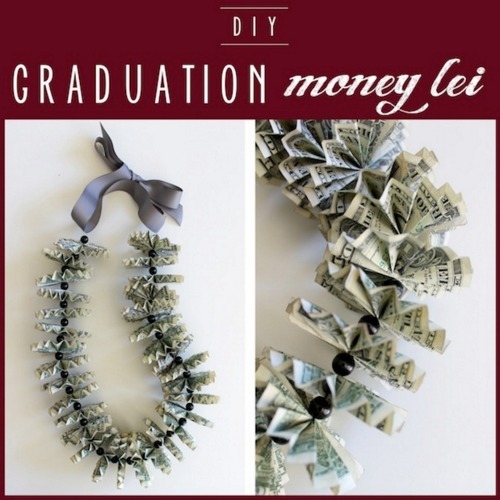 Take a stab at this Graduation Money Lei – they will love it, we promise! Tutorial on Bead and Cord. 16.) 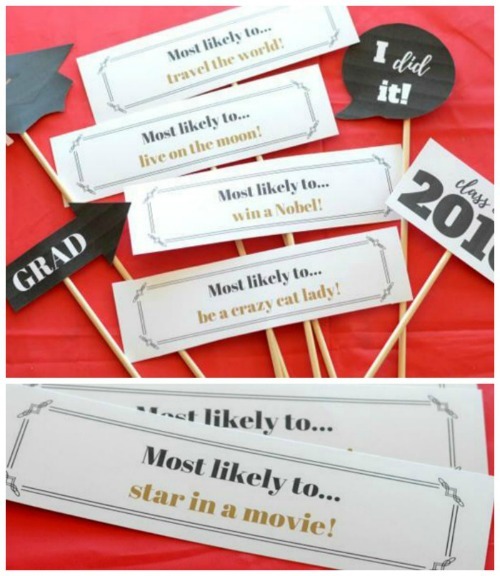 Take a look at these fun Grad Photo Props with Superlatives from Celebrations. 17.) 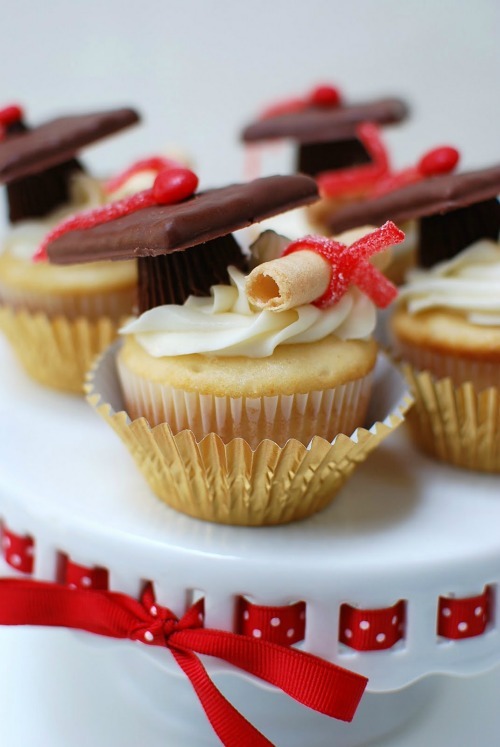 We are pretty obsessed with these Graduation Cap Cupcakes from Anna and Blue. 18.) 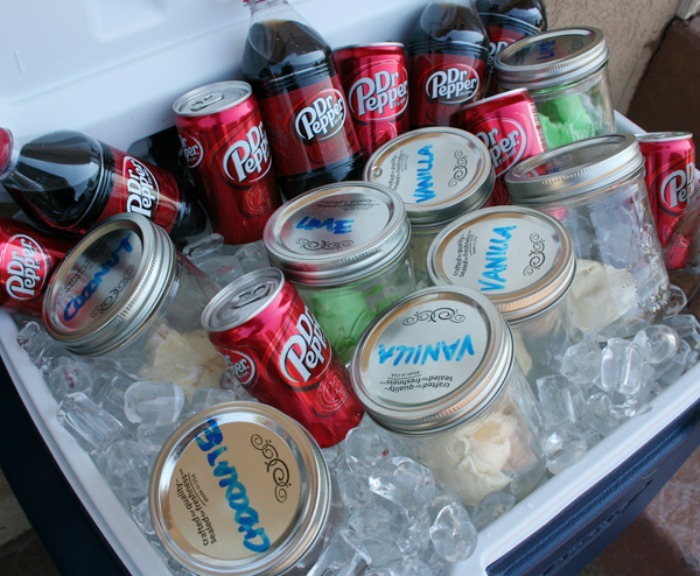 Create an Ice Cream Soda Bar for Kids of all ages from Ever Clever Mom. 19.) 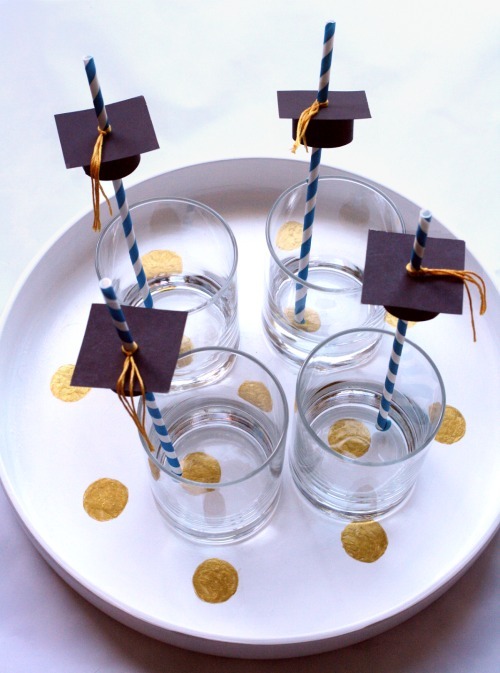 These Graduation Cap Party Favors are an adorable idea from No Biggie. You can get the clear plastic tubes HERE. 20.) 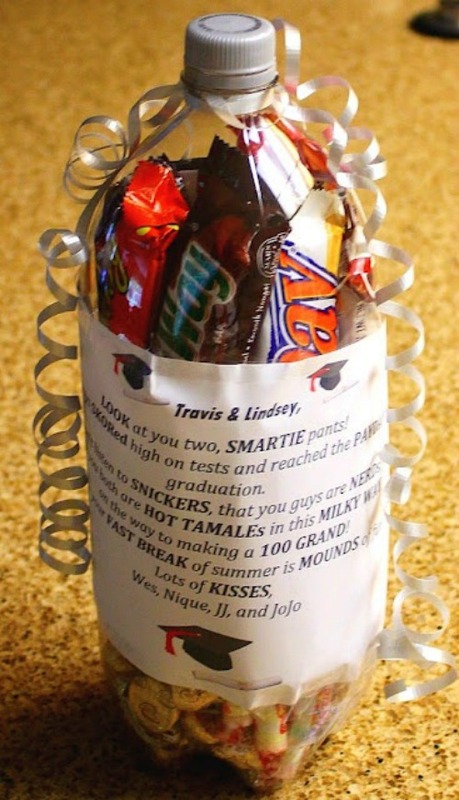 Do It and How has an adorable Graduation Gift Idea with Candy Bars and a 2 L Bottle. They don’t have a printable, but we made one for you! Also save these other milestones for when you need them! Newborn Tips, Hacks and Tricks – Pin to Pinterest. 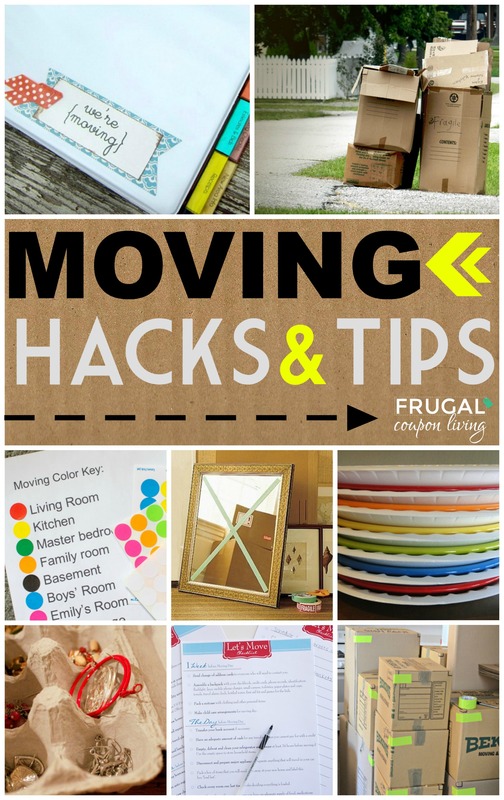 Moving Hacks and Tips – Pin to Pinterest.